Is terrorism is the answer to the terrorism? We all know how big the problem of terrorism is to the world. Thousands of people get killed by terrorists without any fault of them, they don't deserve to live but more innocent people were killed on pretext of killing the terrorists. Some among those who were tortured and exploited in the name of curbing terrorism becomes rebellious and then mislead by terrorists. Thus it has became a vicious circle. The western world in order to occupy the oil minerals of the Arab world are controlling them by setting up there military bases in those regions in order to solve conflicts which are created by them. Osama Bin Laden was supported by US against Russia who later became threat to them. Their military occupations are killing thousands of innocent children,men, women and animals in these areas. We witnessed how Afghanistan was destroyed by US forces in their futile search of Osama Bin Laden who was killed later in Pakistan when already towns and cities were deserted in Afghanistan. We are still to see weapons of mass destruction in Iraq for which the whole of Iraq was demolished. There army created so much unrest there that people retort to violence by standing against their own army. 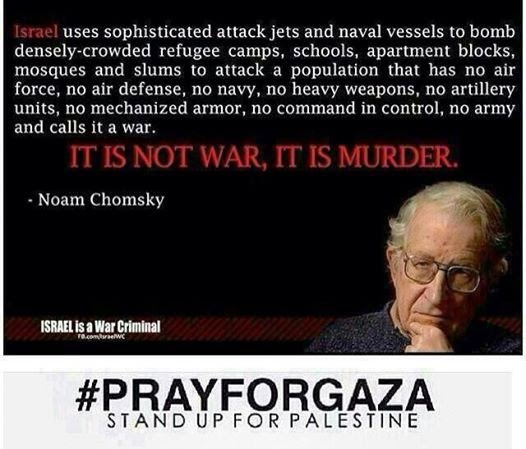 The same is the case with Syria and now Gaza was attacked daily by Israel with the support of European Union and United States killing civilians unaware of any Hamas activities ( which Israel labelled as terrorist group has actually elected ruling party of Gaza but not their sycophant). 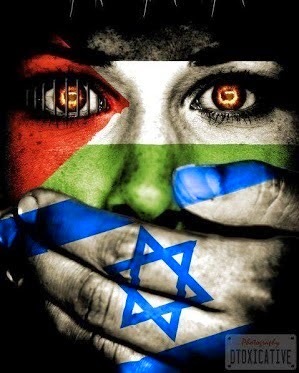 Israel and Egypt wants to get hold of Gaza and Palestine and for that they are killing them. From childhood we were told that there is always a solution to the problem then why there are no efforts for any solution when these problems are running for years. What is the role of United Nation in the world scenario when it failed in maintaining world peace and act only as a puppet in the hands of powerful nations to put sanctions on small countries which don't follow American foreign policy. Why they still think it to be a white man's job to maintain world order? 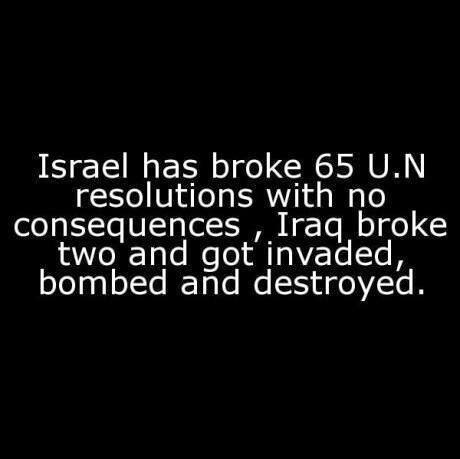 Why world is silence when Israel is attacking Gaza without any solid reason? Why not mainstream media is covering this news? Where are those humanitarians who raised hue and cry for just a slap on the face? The answer to these questions is hard to come as there are hardly any benefit of the world from this place. The Britishers sowed the seed of hatred and conflict at each place they left like Palestine issue between Israel and Palestine, Kashmir between India and Pakistan, divided North and South Korea , etc. These conflicts keep alive there weapon businesses and thousands of innocent civilians die daily with these weapons. Why not ban weapons which are built to kill only? I hope world will be a better place for generations to come. Pray for peace in the world. Pray for some strength for the people of Gaza facing such hardships in holy month of Ramadan. May Allah bring harmony in the world. Ameen! You said it so well. The mass killing in Palestine showcases the hypocrisy of the West and makes me wonder why no one condemned this violence. Doesn't suit their political interest or complex of being the super power. Remember the statement, Either you are with or against us. what's happening right now is very disturbing. thanks for sharing your sentiments. let's hope that we'll live to see the day that everyone's at peace.